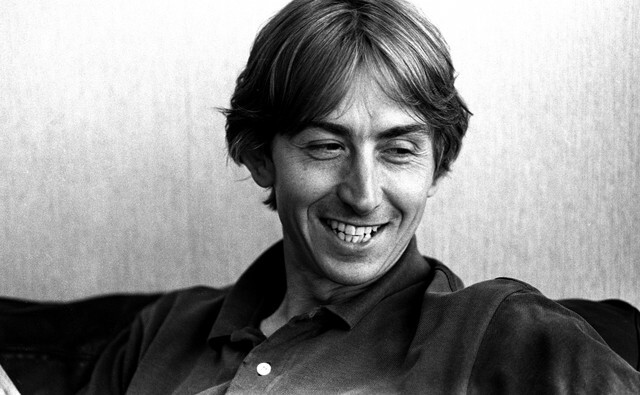 Born in London in 1955, Mark Hollis began his career in the music industry in the late 1970s, releasing one single with his band The Reaction before forming Talk Talk with bassist Webb, drummer Lee Harris, and keyboardist Simon Brenner in 1981. Initially associated with the New Romantic genre, the synth-pop band, which became a trio after Brenner’s departure in 1983, found considerable chart success in the UK with their first three albums. Their biggest singles included “It’s My Life” (which No Doubt popularized again with their 2003 cover), “Such a Shame,” “Life’s What You Make It,” and “Living In Another World.” However, Hollis—along with Tim Friese-Greene, an unofficial member of the band who worked closely with Hollis on the writing and production of the band’s work—soon began to push the band away from the zeitgeist sounds in new wave music of the time. Moving away from heavy sine-wave synth barrages, the band began to integrate subtler dynamics, unusual song structures, and elements of jazz and classical styles into their music. Hollis cited turn-of-the-century composers such as Erik Satie, Béla Bartók, and Claude Debussy as influences, and the band’s later work emulated the textural focus and unorthodox production techniques of Miles Davis’ music in the 1960s and 1970s. After the success of their transitional album, 1986’s The Colour of Spring, Hollis and Friese-Greene labored away at their more explicitly experimental followup, Spirit of Eden, for a year. The album featured a unique sound and pacing derived largely from chopping up and manipulating material from long undirected sessions by hired musicians as well as the core band members. Despite the album’s eventual lack of sales and the band’s aversion to touring behind and promoting it, they found new label support to record the even more hushed and ethereal Laughing Stock, which was released in 1991. The album features long, near-ambient instrumental sections, also patched together from improvisations by jazz and classical players. Today both Eden and Laughing Stock are considered to have helped established the roots of the “post-rock” genre and are widely regarded to be visionary rock masterpieces. Hollis released a muted, self-titled solo album in 1998 that furthered some of the ideas on Eden and Laughing Stock, but channeled them into an even more intimate context, drawing the sound of his arrangements closer to chamber music. Following the release of the album, he then largely retired from both the music industry and public life, besides scattered guest appearances, including a turn on Unkle’s debut album Psyence Fiction (also released in 1998). The sole composition credited to Hollis alone released since Mark Hollis is an instrumental piece called “ARB Section 1″ which was included on the soundtrack for the TV series Boss. Listen to some of Hollis’ music below.